Rarely does an Editor take issue with their audience, but when the votes of the best console of all time were counted I was genuinely gobsmacked that Sony’s impeccable PlayStation 2 was not the runaway winner. Consoles are still in their infancy, and yet in hundreds of years’ time people will look back and pick out the PlayStation 2 as a console that changed the very face of gaming; at the heart of dragging an industry out of the basement and into the mainstream. This was a console that served as a platform to some of the most iconic games of all time: the breakthrough versions of names such as Grand Theft Auto, Gran Turismo and God of War. This was and is, for good reason, the biggest selling console of all time, shipping an astonishing 155 million units. This was the console that propped up the proud old Sony corporation, rattled Nintendo to its core and played a big part in finally sinking Sega. Few could have imagined that the PS2 would become such a hero product for Sony - a company that was better known even then for televisions and audio. But clever decisions (backwards compatibility with both games and controllers from the original PlayStation, an outstanding DVD player built in) and cunning deals for exclusivity on major games catapulted the PS2 into millions of living rooms. Originally considered a competitor for Sega’s Dreamcast, the PS2 ended up crushing all-comers in sales. With the Dreamcast failing to catch the mass market, Sony had a head start on its true competition - with the Nintendo GameCube and Xbox not arriving until it had established a big fan base. Of course, that fledgling competition with Xbox - a console that embraced online in a way the PS2 never truly did - was to become the defining rivalry of the next generation. But, in truth, the PlayStation 2’s biggest impact was cultural. A generation of gamers were not prepared to hang up their joypads as they got a little older, and the PS2 gave them permission to keep on gaming. This was a console for kids and adults alike; reflected in a an broad mix of games many of which were (at least ostensibly) not meant for children. Incredibly, the PS2 was still being produced up until 2013 – not bad for a console that first arrived in March of the new millennium. And few could make a case that it has ever been surpassed in terms of its impact. 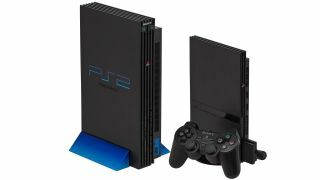 Many consoles had waned after the initial burst of launch publicity, but the PS2 was blessed with a second lease of life. The launch of a slimmer version happily coincided with the arrival of the generation’s best selling game - Grand Theft Auto: San Andreas - and despite supply issues that only served to build hype, the new PS2 continued to fly off the shelves for years to come. As voted by you, it's rightly earned a place among the greatest consoles of all time. GTA 3 was an open-world third-person/driving game that cast the gamer as a criminal making his way in a larger-than life world of American stereotypes and gun culture. Sony presciently secured this most iconic of games as an exclusive for a couple of years on console (and it was years before it made its bow on Windows). Although San Andreas was the better game, it was GTA 3 that transformed the gaming landscape, introducing the world to the ‘sandbox’. GTA created a game universe that was jam packed with often puerile but just tongue-in-cheek enough humour that even the adverse headlines only served to make it more attractive to its fans. The Gran Turismo series was already hugely popular, but the third incarnation served as the perfect showcase for the generation’s graphical capabilities. Perfectly modelled cars and brilliant game (ahem) mechanics came together to create an immersive, beautiful driving experience that showed that gaming was now way beyond the era of sprites. The GT series has long been a mainstay of the PlayStation, but it was this version that perhaps most came to define the PS2. Looking back, it’s hard to imagine that MGS2 was anything other than lauded - but this was a game that truly divided its audience by demanding a bit more thought and attention to detail. Hideo Kojima’s greatest game was anything but mindless - exploring themes beyond how much gore could be created when you shot someone in the head. This was a game that was a microcosm of the gaming world and the PS2, thrusting itself out of the ‘gaming is for kids’ narrative. Metal Gear Solid 2 was actually the fourth MGS, but established itself as a true classic for the PS2, with an exclusivity deal again allowing it to become an established party of the console’s success. Welcome to TechRadar's Console Gaming Week, celebrating each and every pixel of video gaming greatness. Head over to our hub for what you've missed so far.